January 19 is the 19th day of the year in the Gregorian calendar.There are 346 days remaining until the end of the year(347 in leap years). 379 – Emperor Gratian elevates Flavius Theodosius at Sirmium to Augustus , and gives him authority over all the eastern provinces of the Roman Empire. 1764 – The world's first mail bomb severely injures the Danish Colonel Poulsen, residing at Børglum Abbey. 1806 – Britain occupies the Dutch Cape Colony after the Battle of Blaauwberg. 1861 – American Civil War: Georgia joins South Carolina, Florida, Mississippi, and Alabama in declaring secession from the United States. 1915 – German strategic bombing during World War I: German zeppelins bomb the towns of Great Yarmouth and King's Lynn in the United Kingdom killing at least 20 people, in the first major aerial bombardment of a civilian target. 1917 – Silvertown explosion: A blast at a munitions factory in London kills 73 and injures over 400. The resulting fire causes over £2,000,000 worth of damage. 1920 – The American Civil Liberties Union (ACLU) is founded. 1937 – Howard Hughes sets a new air record by flying from Los Angeles to New York City in 7 hours, 28 minutes, 25 seconds. 1940 – You Nazty Spy! , the very first Hollywood film of any kind to satirize Adolf Hitler and the Nazis premieres, starring The Three Stooges, with Moe Howard as the character "Moe Hailstone" satirizing Hitler. 1941 – World War II: HMS Greyhound and other escorts of convoy AS-12 sink Italian submarine Neghelli with all hands 40 miles northeast of Falkonera. 1942 – World War II: The Japanese conquest of Burma begins. 1986 – The first IBM PC computer virus is released into the wild. A boot sector virus dubbed (c)Brain, it was created by the Farooq Alvi Brothers in Lahore, Pakistan, reportedly to deter unauthorized copying of the software they had written. 1995 – After being struck by lightning the crew of Bristow Flight 56C are forced to ditch. All 18 aboard are later rescued. 2007 – Turkish-Armenian journalist Hrant Dink is assassinated in front of his newspaper's Istanbul office by 17-year-old Turkish ultra-nationalist Ogün Samast. 2014 – A bomb attack on an army convoy in the city of Bannu kills at least 26 Pakistani soldiers and injures 38 others. Year 379 (CCCLXXIX) was a common year starting on Tuesday of the Julian calendar. At the time, it was known as the Year of the Consulship of Ausonius and Hermogenianus. The denomination 379 for this year has been used since the early medieval period, when the Anno Domini calendar era became the prevalent method in Europe for naming years. Gratian was Roman emperor from 367 to 383. The eldest son of Valentinian I, Gratian accompanied, during his youth, his father on several campaigns along the Rhine and Danube frontiers. Upon the death of Valentinian in 375, Gratian's brother Valentinian II was declared emperor by his father's soldiers. In 378, Gratian's generals won a decisive victory over the Lentienses, a branch of the Alamanni, at the Battle of Argentovaria. Gratian subsequently led a campaign across the Rhine, the last emperor to do so, and attacked the Lentienses, forcing the tribe to surrender. That same year, his uncle Valens was killed in the Battle of Adrianople against the Goths – making Gratian essentially ruler of the entire Roman Empire. He favoured Christianity over traditional Roman religion, refusing the divine attributes of the Emperors and removing the Altar of Victory from the Roman Senate. Theodosius I, also known as Theodosius the Great, was a Roman Emperor from 379 to 395, and the last emperor to rule over both the Eastern and the Western halves of the Roman Empire. On accepting his elevation, he campaigned against Goths and other barbarians who had invaded the Empire. His resources were not sufficient to destroy them or drive them out, which had been Roman policy for centuries in dealing with invaders. By treaty, which followed his indecisive victory at the end of the Gothic War, they were established as foederati, autonomous allies of the Empire, south of the Danube, in Illyricum, within the Empire's borders. They were given lands and allowed to remain under their own leaders, a grave departure from Roman hegemonic ways. This turn away from traditional policies was accommodationist and had grave consequences for the Western Empire from the beginning of the century, as the Romans found themselves with the impossible task of defending the borders and deal with unruly federates within. Theodosius I was obliged to fight two destructive civil wars, successively defeating the usurpers Magnus Maximus in 387-388 and Eugenius in 394, though not without material cost to the power of the Empire. 1848 – Arturo Graf, Italian poet, of German ancestry (d. 1913). Saint Aelia Pulcheria was Regent of the Eastern Roman Empire during the minority of her brother Theodosius II, and empress by marriage to Marcian. Year 840 (DCCCXL) was a leap year starting on Thursday of the Julian calendar. Year 520 (DXX) was a leap year starting on Wednesday of the Julian calendar. At the time, it was known as the Year of the Consulship of Rusticus and Vitalianus. The denomination 520 for this year has been used since the early medieval period, when the Anno Domini calendar era became the prevalent method in Europe for naming years. 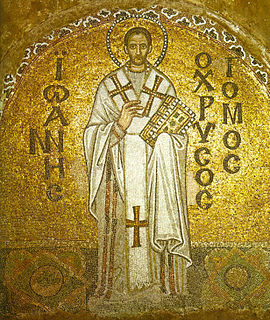 John II, surnamed Cappadox or the Cappadocian was Patriarch of Constantinople in 518–520, during the reign of Byzantine emperor Anastasius I after an enforced condemnation of the Council of Chalcedon. His short patriarchate is memorable for the celebrated Acclamations of Constantinople, and the reunion of East and West after a schism of 34 years. At the death of Timothy I, John of Cappadocia, whom he had designated his successor, was presbyter and chancellor of the Church of Constantinople. Year 639 (DCXXXIX) was a common year starting on Friday of the Julian calendar. The denomination 639 for this year has been used since the early medieval period, when the Anno Domini calendar era became the prevalent method in Europe for naming years. Saint Bassianus of Lodi was an Italian saint, the patron saint of Lodi and Pizzighettone in Italy. Henry was a medieval English clergyman. He came to Sweden with Cardinal Nicholas Breakspeare in 1153 and was probably designated to be the new Archbishop of Uppsala, but the independent church province of Sweden could only be established in 1164 after the civil war, and Henry would have been sent to organize the Church in Finland, where Christians had already existed for two centuries. Saints Marius, Martha, Audifax, and Abachum were, according to their largely legendary passio of the 6th century, four saints of the same family. They came from Persia to Rome, and were martyred in 270 for sympathizing with Christian martyrs and burying their bodies. Some ancient martyrologies place the date of their death between 268 and 270, during the reign of Claudius II, although there was no persecution of Christians during this time. Poe Toaster is a media epithet popularly used to refer to an unidentified person who, for over seven decades, paid an annual tribute to American author Edgar Allan Poe by visiting the cenotaph marking his original grave in Baltimore, Maryland, in the early hours of January 19, Poe's birthday. 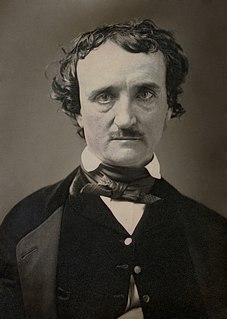 The shadowy figure, dressed in black with a wide-brimmed hat and white scarf, would pour himself a glass of cognac and raise a toast to Poe's memory, then vanish into the night, leaving three roses in a distinctive arrangement and the unfinished bottle of cognac. Onlookers gathered annually in hopes of glimpsing the elusive Toaster, who did not seek publicity and was rarely seen or photographed. Baltimore is the largest city in the state of Maryland within the United States. Baltimore was established by the Constitution of Maryland as an independent city in 1729. With a population of 611,648 in 2017, Baltimore is the largest such independent city in the United States. As of 2017, the population of the Baltimore metropolitan area was estimated to be just under 2.808 million, making it the 20th largest metropolitan area in the country. Baltimore is located about 40 miles (60 km) northeast of Washington, D.C., making it a principal city in the Washington-Baltimore combined statistical area (CSA), the fourth-largest CSA in the nation, with a calculated 2017 population of 9,764,315. ↑ "Team N2i successfully conquer the Pole of Inaccessibility by foot and kite on 19th Jan '07" . Retrieved August 16, 2011. ↑ דהאן כלב, הנרייט, ed. (2011). A-Mythical: Social Justice and Gender in Jewish Sources (in Hebrew). Tel Aviv: MIskal - Yedioth Aharonoth Books and Chemed Books. p. 176. ISBN 978-965-545-252-5 . Retrieved 28 March 2019. ↑ "National Women's Hall of Fame" (PDF). ↑ Don Rittner (2014). A to Z of Scientists in Weather and Climate. Infobase Publishing. p. 159. ISBN 978-1-4381-0924-4. Wikimedia Commons has media related to January 19 .